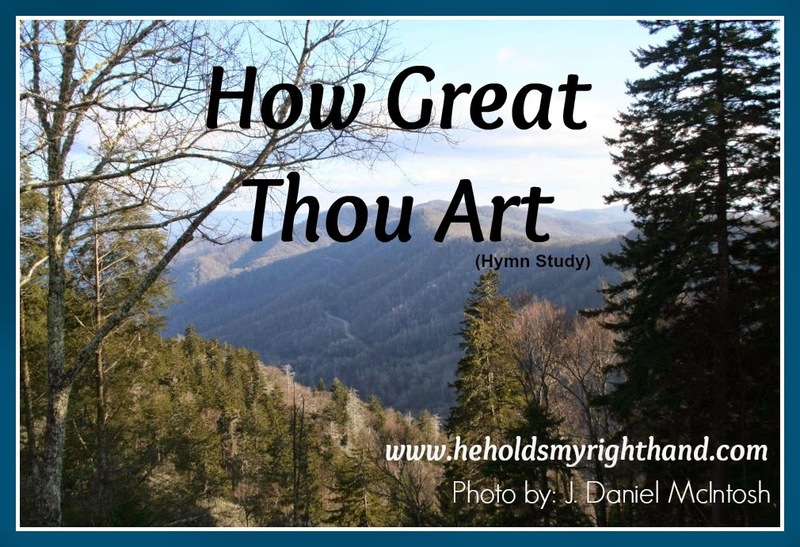 My father-in-law's favorite hymn is HOW GREAT THOU ART, which is a classic, popular hymn loved by many. 'Dad' has been involved with the Boy Scouts for many years, and is an obvious lover of the outdoors, so I can see why he likes this hymn. The words are so descriptive and magnificent. They give a musical picture of the great outdoors, and of the world our God created. The words were originally written by Rev. Carl Boberg, a Swedish Lutheran minister, in 1885. It is believed he was inspired by the beauty of his homeland. Stuart Hine, a missionary who was serving in the Ukraine, came across the Russian translation of the hymn in 1927. He sang it in Russian for a few years, then translated 3 verses into English. Then, during WWII, he returned to England and took the translated hymn with him. Its popularity grew in 1948 when a 4th verse was added and the hymn was published in a religious magazine published by Hine. Then, in 1954, it was sung by the famous gospel singer, GEORGE BEVERLY SHEA, which increased its popularity even more. Psalm 19:1 - The heavens declare the glory of God; the skies proclaim the work of his hands.